TRAVELLERS visiting Bahrain can find the best of luxury accommodation and wellness at The Westin and Le Méridien City Centre Bahrain, which are located adjacent to each other and are attached to the City Centre Bahrain – one of the kingdom’s most popular entertainment and shopping destinations. Part of the Marriott portfolio, the hotels are beckoning visitors to explore the ‘Island of Pearls’ with Marriott Bonvoy, the group’s newly launched travel programme. Launched in February 2019, Marriott Bonvoy is built on the belief that travel enriches us all and has the power to enrich the world. With the new loyalty brand, members will have access to the group’s portfolio of diverse brands, including the largest collection of lifestyle and luxury properties, at the best room rates and member benefits. Featuring 460 guest rooms (Westin – 200 rooms; Le Méridien – 260 rooms), including 79 suites, the hotel complex also offers seven restaurants and bars, an outdoor pool, a Heavenly Spa by Westin with the largest Hammam in Bahrain and meeting facilities for gatherings of up to 150 people. While the two hotels are connected to each other, they are widely distinct in their offerings. Westin is a prominent wellness brand in hospitality, consistently delivering on the promise to ensure that guests leave feeling better than when they arrived. Backed by a global wellness trend, Westin serves as the guests’ partner to well-being, empowering them to maintain and enhance their routines while on the road through innovative, signature products and programmes combined with instinctive service and intuitive nature-inspired design. Le Méridien, on the other hand, invites guests to discover the world in style, savour the moment and enjoy experiences that offer something more than meets the eye through local art, culture and discovery. The properties will be taking part at the Arabian Travel Market (ATM) in Dubai this year to showcase their distinct brand offerings as well as the newly launched "single loyalty" brand, Marriot Bonvoy, to the wider Middle East. Speaking to TTN, Anna Marie Dowling, complex general manager for The Westin and Le Méridien City Centre Bahrain, noted that Bahrain’s tourism sector is growing rapidly “thanks to the efforts of the Bahrain Tourism and Exhibition Authority, which has worked hard to curate a calendar of year-round events which showcase the country’s authentic culture and heritage”. 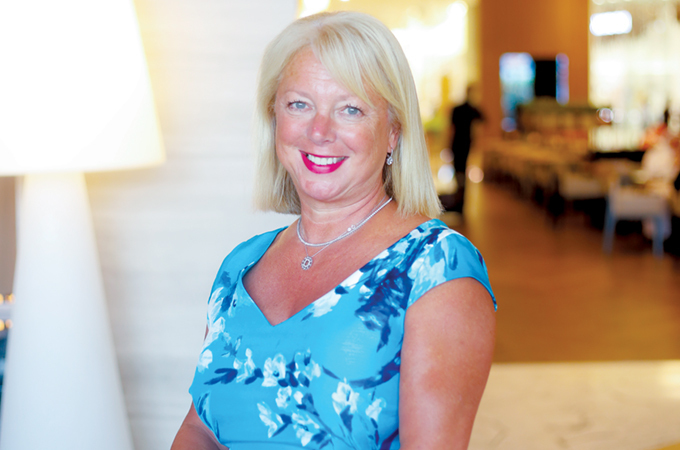 “The Bahrain tourism authority is always working hard to attract more tourists to the kingdom and I have definitely noticed a direct correlation between the increase in events around Bahrain and the surge in visitor numbers,” she says. The hotels remain a preferred address for both regional and international travellers as they provide easy access to one of the kingdom’s top shopping destination, with the most number of overnight guests coming from Saudi Arabia – Bahrain’s key feeder market. Dowling took over the reins of the five-star property in 2016 and has since been working hard to position the hotels as an ideal destination for outstanding hospitality. As complex general manager, she is responsible for the overall strategic direction of the functions in the hotels. “Top line sales is a key priority for me as well as ensuring we are operating the hotels as efficiently as possible,” she says.